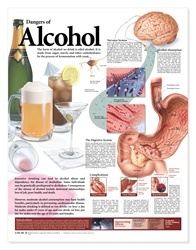 This revised chart illustrates and discusses how alcohol affects the nervous, cardiovascular, and digestive system. 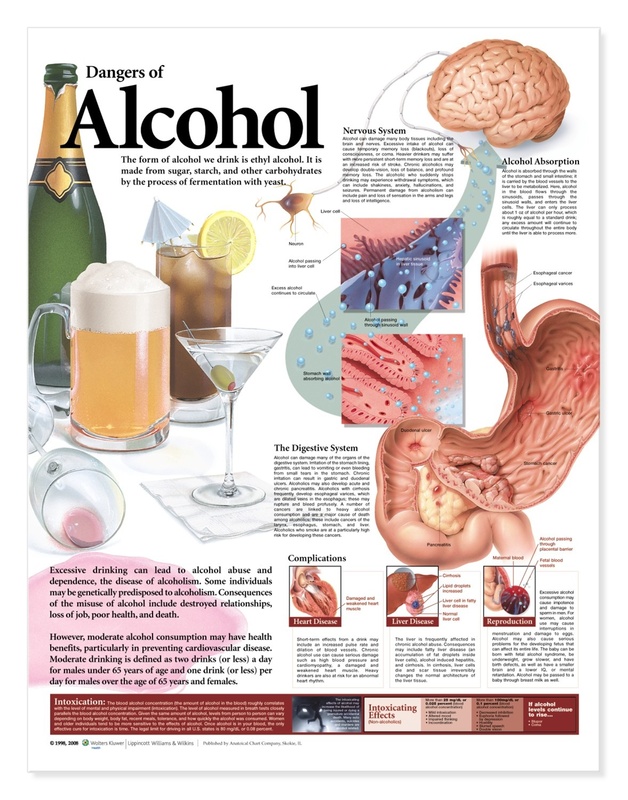 The chart shows the process of alcohol absorption and its effect on the liver and also explains reproductive side effects, including risks to an unborn baby. It further discusses other consequences of alcohol abuse and defines intoxication.